During a recent conversation about the ever-evolving payments landscape, my friend posed a question that made me think: With so many other ways to pay for things now, what’s the best reason to use a credit card? It took me a few minutes to find an answer, and when I did, I wasn’t sure why it hadn’t been immediately obvious — the credit card rewards. Who doesn’t want what amounts to a discount on, well, everything? One of the best cash back rewards cards on the market is the Chase Freedom® credit card, which combines flat rate unlimited cash back, with bonus rewards that are available in a different category each quarter — including gas stations, restaurants, and wholesale clubs. While not for those with poor credit, the Chase Freedom® is a solid rewards card choice if your credit report is in good condition. Use the menu to take your next step. There are many factors that go into determining your credit card eligibility. While most of these variables have some wiggle room, others are often treated as hard-and-fast rules. 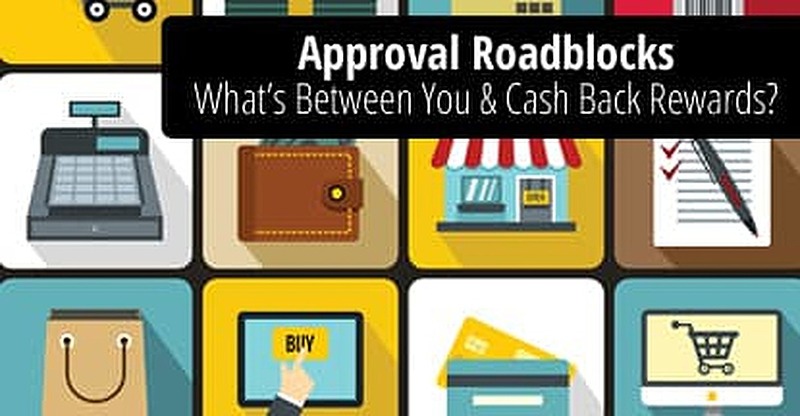 Here are the three main impediments to approval for Chase Freedom® applicants. While not the end-all-be-all of your application, your credit score is an important factor. Thankfully, it also happens to be one of the factors with the most leeway. The Chase Freedom® is mainly for those in the “Good” (700+) to “Excellent” (750+) credit ranges, but there are reports of people being accepted with credit scores as low as 645. An important note thing to note about your credit score: It can vary depending on the source. Chase may pull from any one — or more — of the three major credit reporting agencies, Equifax, Experian, or TransUnion. Which credit report (or reports) they pull will depend mostly on your location, as it seems to vary by state. Your utilization rate is essentially the ratio of your total credit card balances — what you owe — and your total available credit — what you have available. 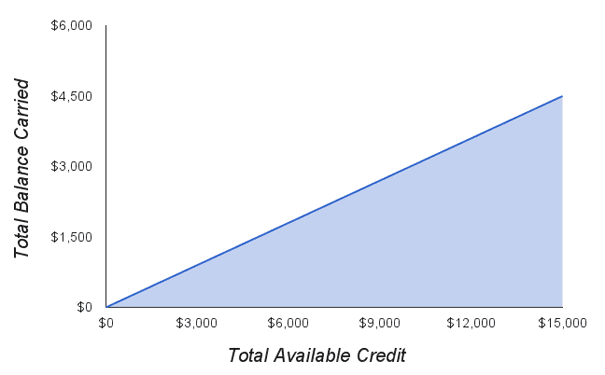 So, if you have a total credit limit of $10,000 and you have a total balance of $2,500, your utilization rate is 25%. Your ideal utilization rate should be no greater than 30% — within the shaded blue area. As a general rule of thumb, most experts recommend keeping your utilization rate below 30% to avoid credit score damage. While this isn’t a hard-and-fast limit, the higher your utilization rate, the less likely you are to be approved for new credit. In some ways, your credit utilization may be one of the easiest denial factors to change — or at least the quickest. If you pay down your current balances, your utilization will decrease once those updated balance are reported to the credit bureaus. This will likely increase your credit scores, potentially increasing your likelihood of acceptance. When researching common rejection responses, it seems that account history is the most frequently reported cause for denial. Rejections seem to fall into one of two camps: too little overall history, or too much recent history. If you’re new to building credit, you may not have a very significant credit history. In this case, you are essentially an unknown to the credit card companies — and unknowns are risky. Applicants with less than one year of verifiable credit history are often asked to reapply at a later time. Additionally, if you have a previous black mark on your history like a defaulted loan or bankruptcy, Chase recommends that your credit history shows at least three squeaky-clean years. Of course, no matter what your credit score, if you have too many recent accounts, you’ll typically be instantly rejected. Known as the 5/24 Rule, Chase will automatically deny any applicant that has opened five or more credit accounts in the past 24 months, regardless of issuer or creditworthiness. This rule applies to all Chase bank credit cards, as well as a goodly number of Chase co-branded credit cards. If you think you fit all the criteria for a Chase Freedom®, then apply away! This quarter’s bonus categories won’t last forever. Don’t forget to activate your quarterly rewards once you receive your card. If you’d prefer a simpler way to earn cash back without worrying about rotating categories, try the new Chase Freedom Unlimited®. Instead of bonus rewards on certain purchases, Chase Freedom Unlimited® offers a higher flat-rate rewards percentage. Cash back rewards will stay good as long as your account is open; your points will never expire. If you have been denied a Chase Freedom® because of your credit, you may need to take time to improve or repair your credit before applying again. Paying off existing debt, especially if your utilization is above the 30% limit, will be the best way to go. If you need to build — or rebuild — credit, try these three credit cards that typically approve applicants with “Fair” (630+) credit scores or below. If you are still facing credit card denials, or are feeling overcome by your debt, you may need a debt management program. A reputable company can help you work with your lenders to design a payment plan and get out of debt. Chances are, you were initially denied because they considered you a credit risk; don’t encourage that opinion. Have a reasonable explanation for why you want the card, but don’t mention a signup bonus — credit card companies want to think you’re in it for the long haul. Also, make sure you know all of your information, including your latest credit scores and card balances. If you were turned down due to an error, now is the time to set the record straight. One of the most important tools in your reconsideration belt, though, is simply you. Be polite, encourage a little friendly conversation, and show you understand that the person on the other end of the line is, in fact, a person. With the right attitude and a little luck, you can have your new Chase Freedom® in no time.